Everyone knows EatPastry from their delicious tubs of Cookie Dough, but now they've branched out and created three new Gluten-Free Baking Mixes! EatPastry knows I'm all about easy-to-make food, so they sent me all three mixes to try out: Buttermilk Biscuit, Chocolate Chip Muffin and Chocolate Cake. 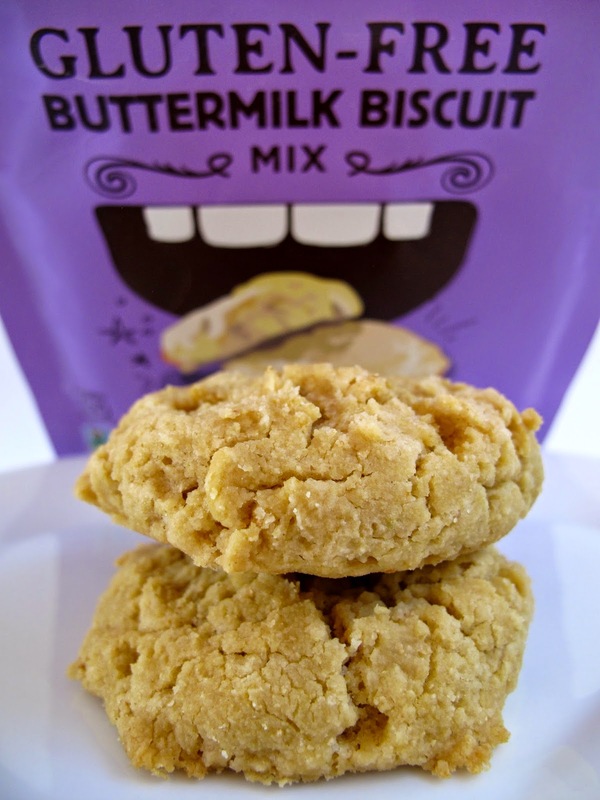 The only ingredients required are non-dairy milk, oil and, for the Buttermilk Biscuit, margarine. But there are helpful add-ons and other suggestions on how to use the mixes. Total Lazy Vegan food! I started off with the Chocolate Chip Muffins. Like I said above, you only have to add two ingredients, do a bit of mixing and then bake. Soooo simple. The end result was some scrumptious tasting muffins! I don't go out of my way to buy gluten-free products, but these were great. If you didn't tell me they were gluten-free I probably wouldn't have known any better. I also don't usually think about chocolate chips in muffins, but they work great. Next was the Chocolate Cake. I went rogue and followed the back instructions for brownies instead. This included adding chocolate chips and walnuts. Whoa, was it was good! A very tasty brownie and a piece of cake (heehee) to make. Being gluten-free presented no problems. Easily, my favorite of the three. I'm sure the basic cake is great too, but I'd say to go for the brownies. The savory option of the three is the Buttermilk Biscuits. I don't know about you, but I still crave those biscuits from KFC. That was always my jam and I was hoping these would give me some faint memory of those. Shockingly, they did! Now I'm not saying they are identical or anything, but they taste damn good. Eat them while warm because they get a little crumbly when cold. A perfect addition to you winter stew or soup. EatPastry said you should start seeing the Baking Mixes pop up in the Southwest region of Whole Foods and also on their website in a couple days. I enjoyed each of the mixes and I hope you get to try them soon! They sent me these too. So far, I've only made the chocolate cake (into choco-mint mini cupcakes! ), and I really liked it. I'm making the biscuits for breakfast tomorrow to eat with tofu ham and redeye gravy. God, I forgot about those KFC biscuits. Those were some damn fine biscuits! Yum! I bet the cupcakes are great too.